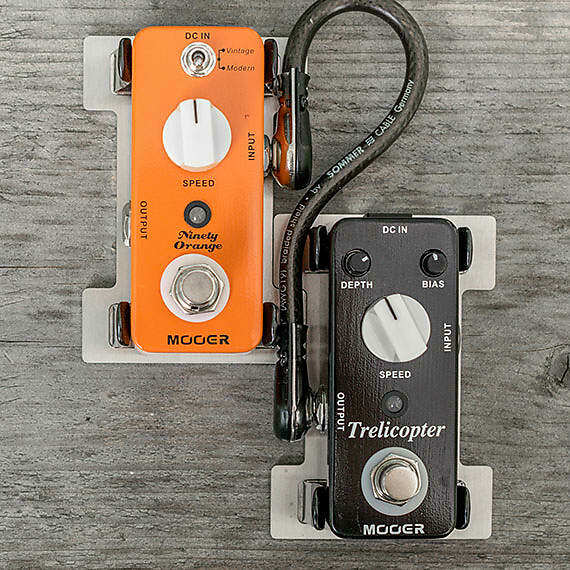 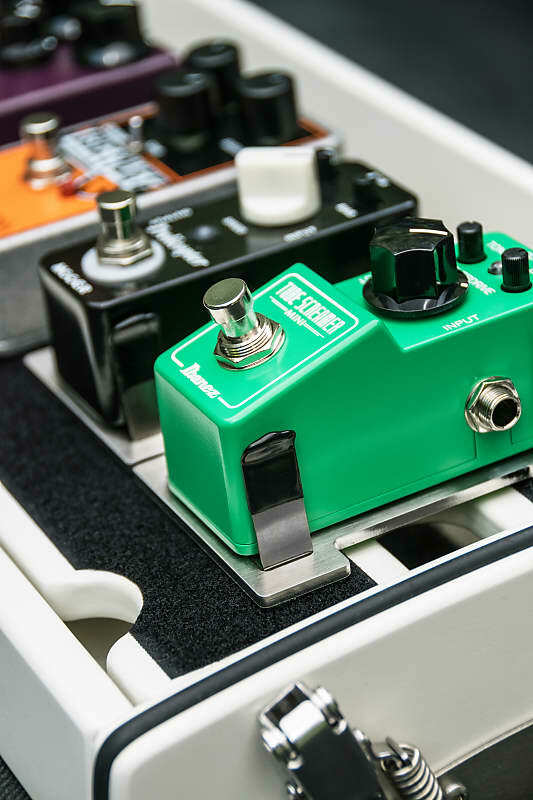 Are you also annoyed by how poorly small pedals can be attached to pedal boards? 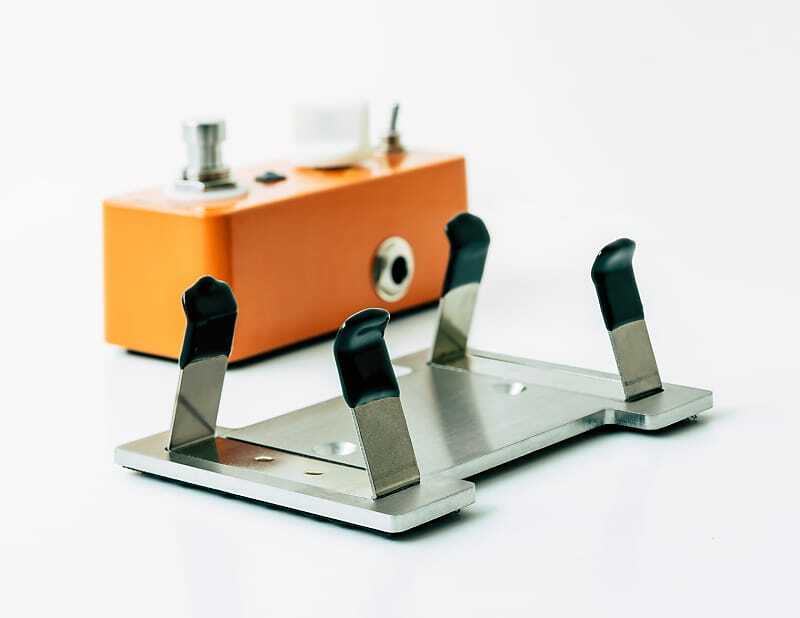 stomptrap enlarges the surface area, so that small pedals have a secure hold. 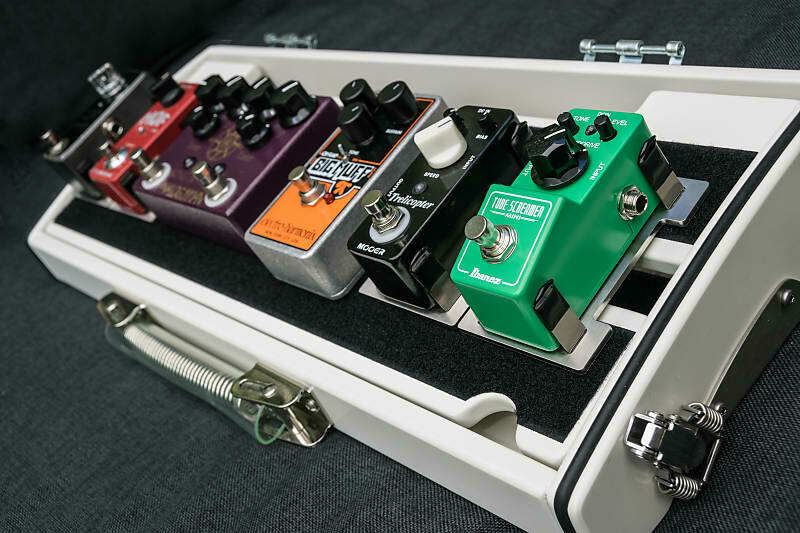 However, no extra space is required on the pedal board, as merely the empty space beneath the side plugs are used. 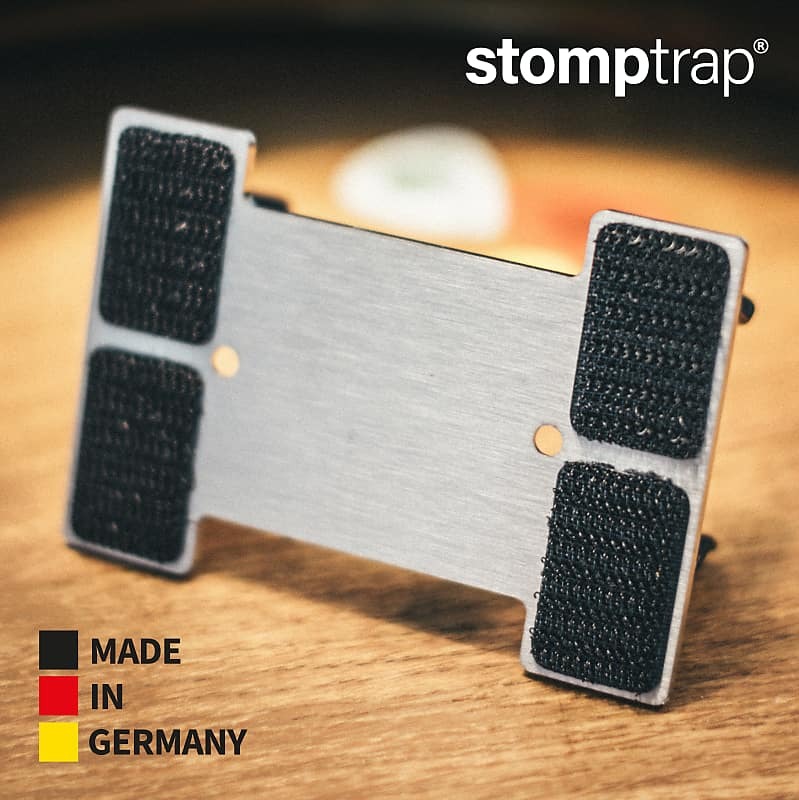 The effect device does not need to be modified for this; stomptrap just firmly attaches on the side. 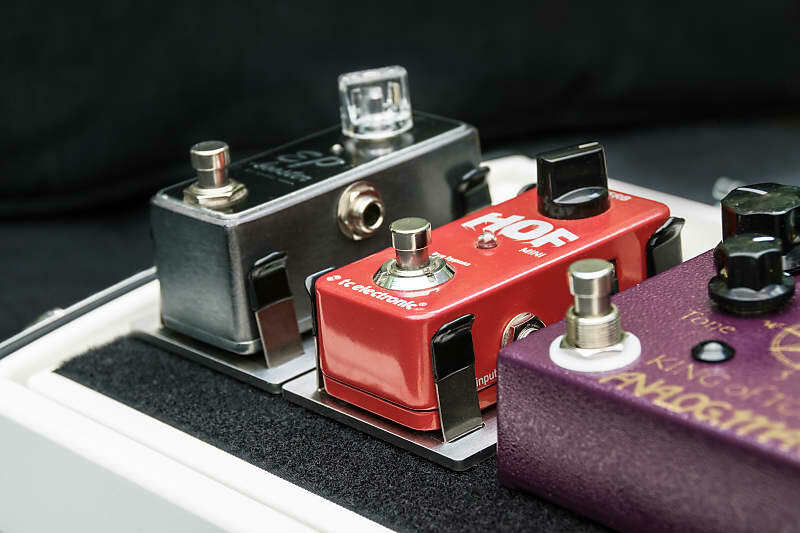 stomptrap can be screwed, glued onto the existing pedalboard with Velcro adhesives or used by itself with rubber feet (Velcro pads and rubber feet included in the delivery). 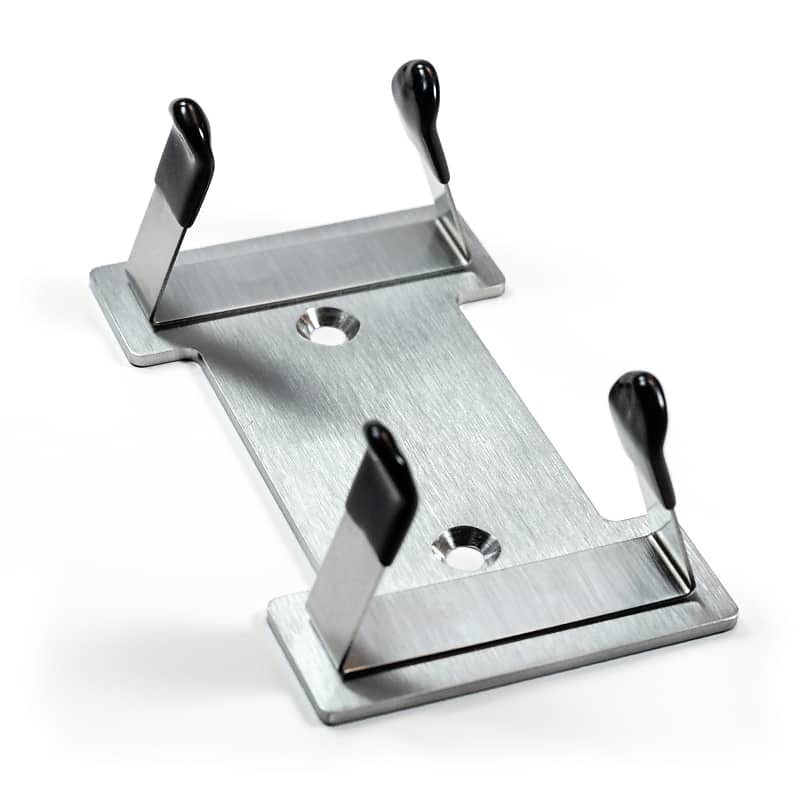 Unbreakable, made of stainless steel, hand-made in Germany. 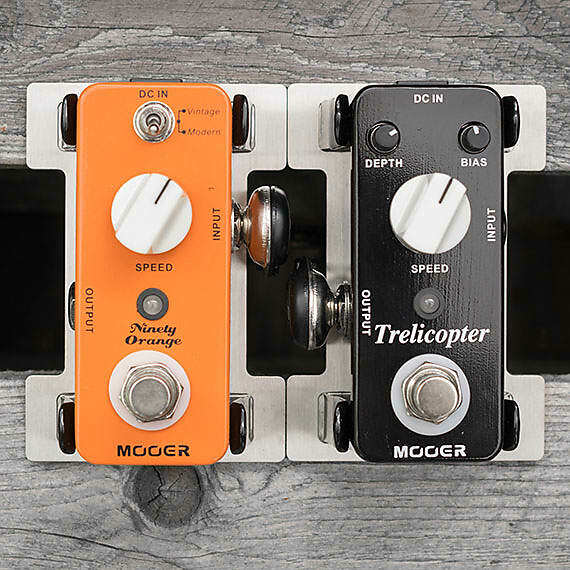 Ich versende international. 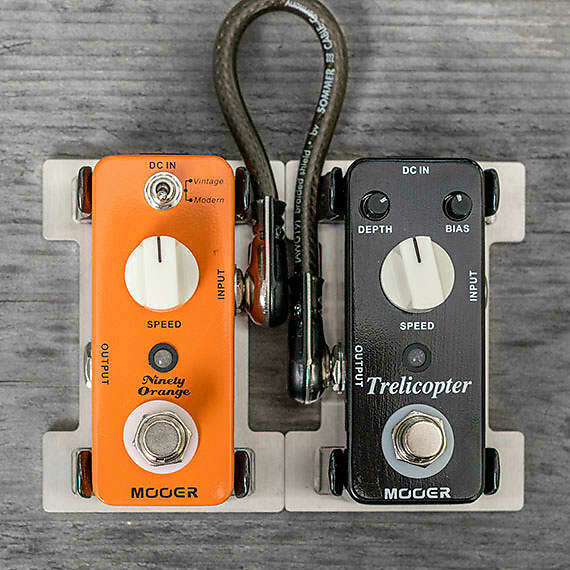 Versandkosten werden nur ein mal berechnet, bitte beim Kauf von mehreren stromptraps einen Preisvorschlag machen.